We are living in a digital age, that’s no secret. Computers, smartphones, tablets, gaming systems…all around us are digital products that keep us connected. And have lots of power cords. Power cords are essential (obviously) and you need a place to plug them in. Unless you’ve built your home to include an insane amount of electrical outlets, that means you use power strips, otherwise known as surge protectors. 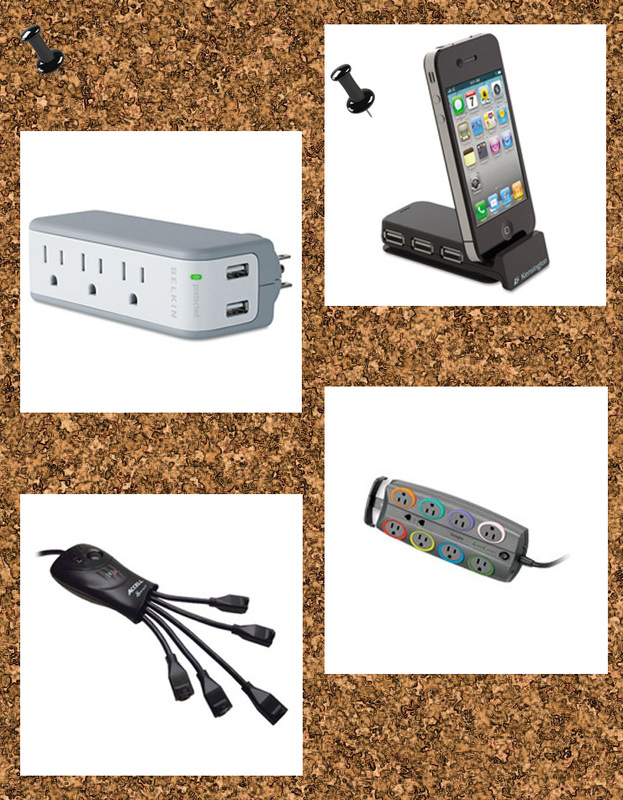 Power strips are great, and they come in many shapes and forms, but they too become overloaded with cords. The space between my wall and entertainment center looks like a tangle vine of cords that is just waiting to trap the cat should she venture back there. I keep waiting to hear plaintive meowing that we have to track down so we can rescue her. In my bedroom at least, I’ve tried to take a proactive stand against cord overload. I’ve purchased two USB hubs that plug into my electrical outlets so that I don’t have to have everything plugged in together. One hub charges my iPhone and our two Kindles, and another charges my husband’s spare phone battery and his Bluetooth. Next Post Who’s Calling Please?